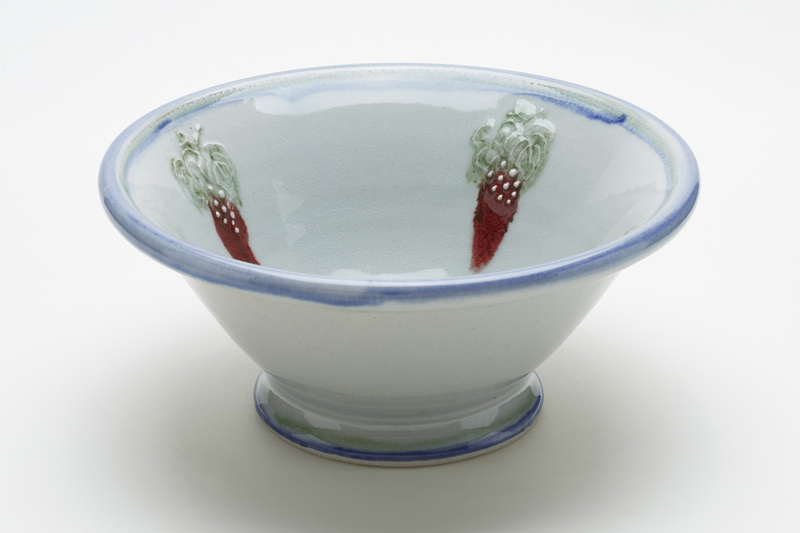 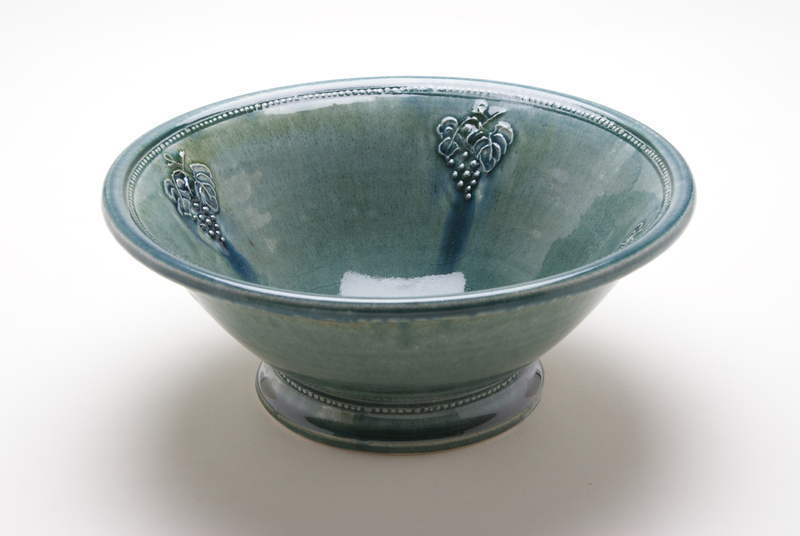 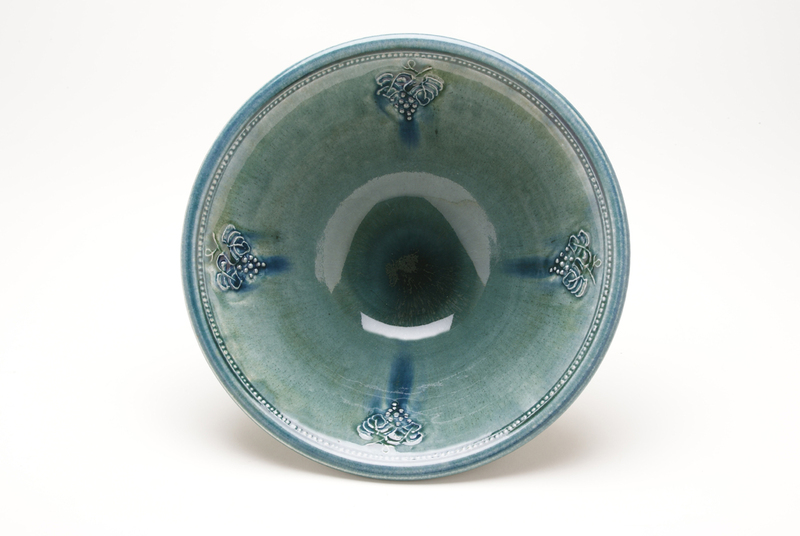 A tall, stylish footed salad bowl sprigged inside with bunches of grapes. 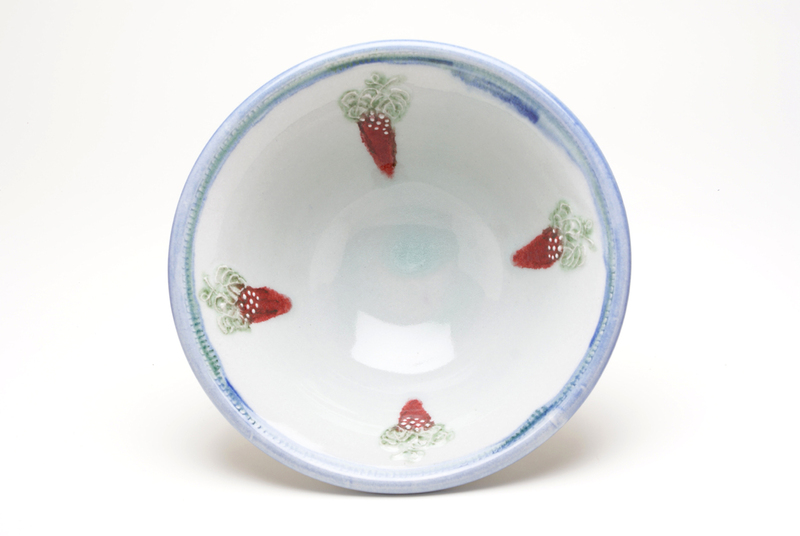 Bowls are lovely to throw. 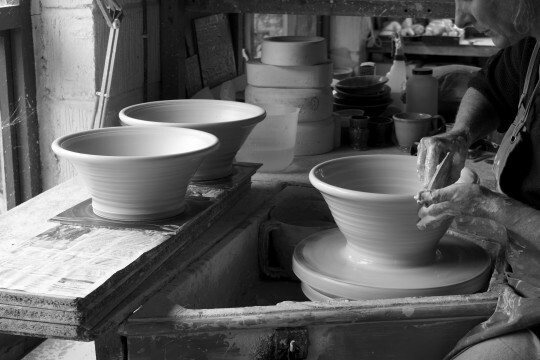 You can concentrate on making the inside shape smooth and flowing, then rest is done at a later stage by turning the foot and making the salad bowl balanced. This pot is ideal for a family sized salad.